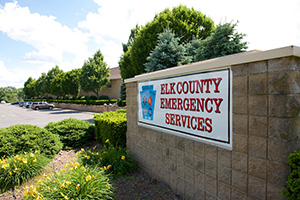 Who did Elk County call to build them a new 911 Center? Elk County, Pennsylvania desperately needed a new 911 center. The existing facility, serving many purposes, was located in an old residential structure. It had been expanded and remodeled to the point where no more improvements could be made. It was still inadequate and unable to serve the needs of the surrounding communities, and there was absolutely no capacity to serve future population growth. MCM Consulting Group, Inc. (MCM) first designed and implemented a needs assessment survey. Countless officials and employees were interviewed to gain true, working insights on the shortcomings of the old facility and what the essential requirements were for the new structure. It was decided that the new Elk County 911 facility would be relocated to the ITEC building which was in the process of being purchased by the county. A larger building in a better location, this facility had the bones the new 911 center needed. Working closely with EADS Architects, an extensive plan was developed to completely redesign and refit the ITEC site. MCM ensured that every item on Elk County’s “must have” list was delivered. A 911 call center with state-of-the-art equipment, an EOC, an EMA office, a hazmat garage, an up-to-date training facility and more, plus upgraded lighting, HVAC, and many more features that made it a comfortable, efficient place to work. As all MCM projects are, this project was completed on time and on budget. The county commissioners are confident that the facility can handle the expanding population during tourism periods, as well as into the future, as Elk County continues to grow. The employees report that they are able to function at a much higher level than in the past.